The award recognizes a woman serving or who has served in a position for a public or non-profit issuer who exemplifies the qualities that Freda brought to our industry as a trailblazer, leader, innovator, and mentor. Learn more about Freda Johnson. Freda Johnson Award: Katano Kasaine, Director of Finance for the City of Oakland, Calif.
Lisa Marie Harris, director of finance/treasurer at the San Diego County Water Authority. Natalie Cohen, president of National Municipal Research and former head of municipal research at Wells Fargo Securities. We are pleased to announce the following two winners of the annual Freda Johnson Awards as well as these 12 Trailblazing Women in Public Finance. These awards were presented at The Bond Buyer's 16th Annual Deal of the Year Awards gala on December 6, 2017. Download the The 7th Annual Trailblazing Women in Public Finance Supplement. We are pleased to announce the following two winners of the annual Freda Johnson Awards as well as these 9 Trailblazing Women in Public Finance. These awards were presented at The Bond Buyer's 15th Annual Deal of the Year Awards gala on December 1, 2016. Freda Johnson Award: Suzanne Shank, founder and DEO of Siebert Cisneros Shank & Co.
We are pleased to announce the following two winners of the annual Freda Johnson Awards as well as these 9 Trailblazing Women in Public Finance. These awards were presented at The Bond Buyer's 14th Annual Deal of the Year Awards gala on December 3, 2015. 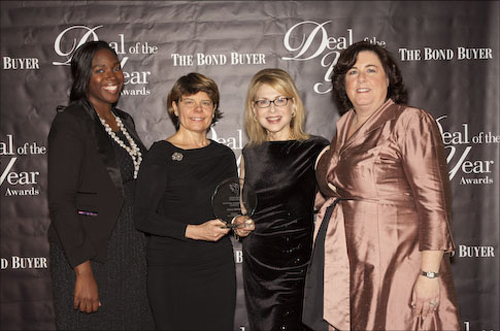 At The Bond Buyers Deal of the Year Awards held on December 4, 2014, The Bond Buyers and Northeast Women in Public Finance presented the fourth annual Freda Johnson Award to Lois Scott, Chief Financial Officer of the City of Chicago, and Kym Arnone, managing director at Barclay's. In addition, the following 8 women were honored as Trailblazing Women in Public Finance: Stephanie Rawlings-Blake, Julia Cooper, Katherine Craven, Alicia Glen, Susan Dushock, Diana Hoadley, Leah Sandbank, and Lisel Wells. Download the 4th Annual Trailblazing Women in Public Finance Supplement. 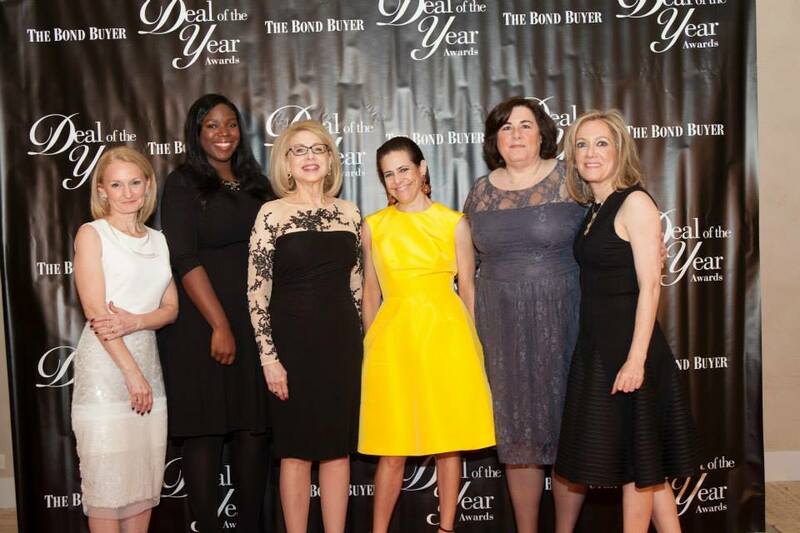 At The Bond Buyers Deal of the Year Awards in December 2013, The Bond Buyers and Northeast Women in Public Finance presented the third annual Freda Johnson Award to Nancy Winkler, Treasurer of the City of Philadelphia and Muriel Siebert (posthumous). In addition, the following 8 women were honored as Trailblazing Women in Public Finance: Claire Cohen, Roberta Edge, JoAnne Kennedy, Joanne Mahoney, Stephanie Miner, Sarah Sanders, Beth Smayda, and Kendra York. 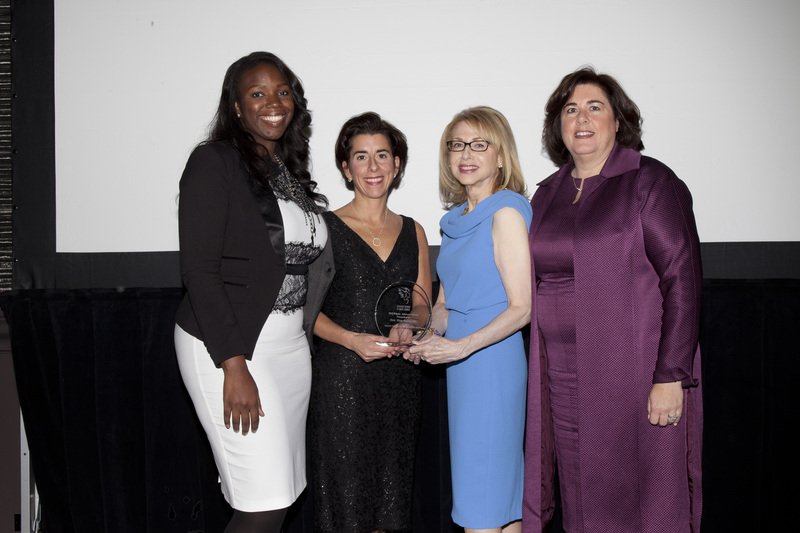 At The Bond Buyers Deal of the Year Awards in December 2012, The Bond Buyers and Northeast Women in Public Finance presented the second annual Freda Johnson Award to Gina Raimondo, Rhode Island General Treasurer. 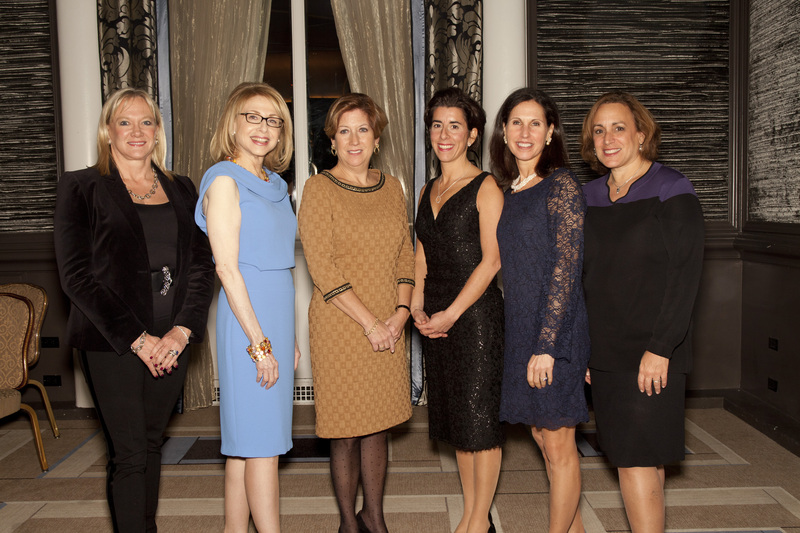 In addition, the following women were honored as Trailblazing Women in Public Finance: Ann Flynn, Carla Sledge, Gail Sussman, Frances Walton, and Robin Weissman. 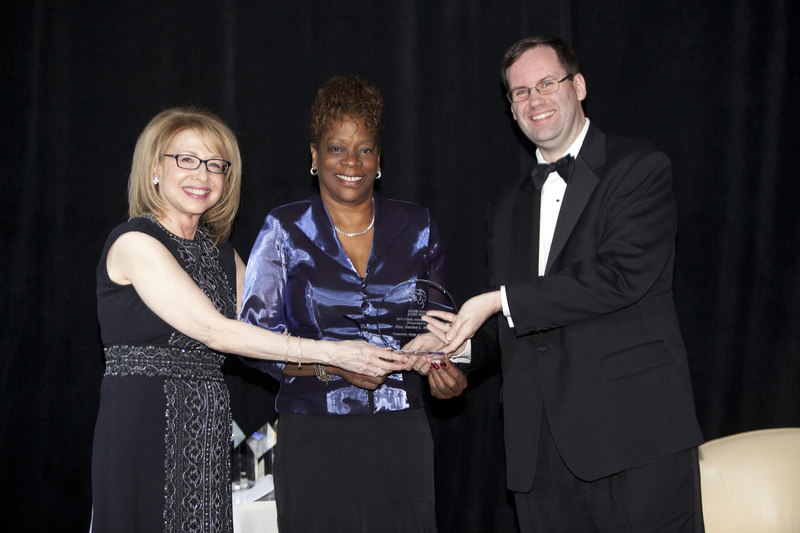 Freda Johnson, President of Government Finance Associates, Inc., was honored by the Bond Buyer and NEWPF at the Bond Buyer New York/Tristate Public Finance Conference: "New Leadership. New Policies. Enduring Challenges." at a reception held at the Downtown Marriott in New York on April 13, 2011. Ms. Johnson and her husband Chester Johnson were honored for over 40 years of Public Finance Service, their individual accomplishments, and what they have done together over combined 86 years in Public Finance. Ms. Johnson began her career in public finance at The Dun & Bradstreet Corporation (D&B) and its subsidiary, Moody's Investors Service (Moody's). From 1979 through 1990, Freda was Executive Vice President and the head of the Public Finance Division of Moody's Investors Service. She also attended the Harvard University Graduate School of Business Administration Advanced Management Program, a semester-long program for senior executives. At the time of her departure from Moody's, the Public Finance Division, which she had renamed, had some 35,000 outstanding municipal bond ratings and a staff of 230, of whom some 70% were professionals and administered its sizable budget. During her tenure as head of the Division, she was chair of the Public Finance Division's Rating Committee and a member of the D&B Senior Management Group (the Group), which was comprised of the senior managers from each of the Corporation's subsidiaries and, for many years, was the youngest member and the only woman member of the Group. After leaving Moody's in 1990, she joined Government Finance Associates, Inc and was later named President, a position she retains today. GFA is an independent public finance advisory firm specializing in consulting in the debt and financial management and strategic planning areas for large and complex state and local governments. In her capacity as President, Ms. Johnson has been actively involved with all of the firm's clients. In addition to being a founding Board Member of NEWPF, and spearheading its Mentoring Program, she is currently on the National Board of Directors of The Transition Network, a not-for-profit organization which works to promote women over 50 years old, and serves as its Treasurer. Ms. Johnson has been involved in the creation of a system of public finance in the Republic of Russia. She has been an Adjunct Professor at the Columbia University Graduate School of Business. She is a past member of the MSRB's Committee on Disclosure, and a past member of NASACT's National Advisory Board on State and Local Government Secondary Market Disclosure as well as the Corporate Advisory Board of Queens College. She was a member of the Anthony Commisssion on Public Finance,, together with Bill Clinton, which sought to expand the use of tax-exempt municipal bonds, and she is a past President and past member of the Board of Governors the The Municipal Forum of New York. NEWPF is a proud sponsor of Women in Need.